The cutting-edge frigate Admiral Kasatonov under construction for the Russian Navy at the St. Petersburg-based Severnaya Verf Shipyard will enter sea trials in early December 2018, the Shipyard’s press office reported on Tuesday. "The Project 22350 first serial-produced frigate Fleet Admiral Kasatonov is preparing for the first stage of shipbuilders’ sea trials in early December. Now the Shipyard’s delivery team and the crew are making final preparations for the ship’s first departure for sea," the press office said in a statement. During three weeks, the shipbuilders will check all the frigate’s systems: the propulsion unit (including the operation of the main engines in various modes) and electric equipment, navigation, communications, rescue, survivability, ventilation and air conditioning systems, its speed, maneuverability and stability for their compliance with the Project’s requirements. The program of trials also envisages artillery and missile fire. The warship may enter state trials already next summer, the press office said. "Thanks to the fact that the Project’s flagship, the frigate Admiral of the Fleet of the Soviet Union Gorshkov has passed the fullest and the detailed program of trials, we plan to pass the program of shipbuilders’ sea trials with the first serial-produced Kasatonov much quicker. I believe that three weeks after its departure for sea, it will already return to the Shipyard from the first stage of shipbuilders’ sea trials. We are now working closely with the Severnoye Design Bureau, the project’s developer, to verify all the elements of the program of trials and we will take all the efforts to ensure that the ship leaves for state trials in summer," the press office quoted Shipyard CEO Igor Ponomaryov as saying. The frigate Fleet Admiral Kasatonov is the second (the first serial-produced) Project 22350 warship. The Project was developed by the Severnoye Design Bureau. 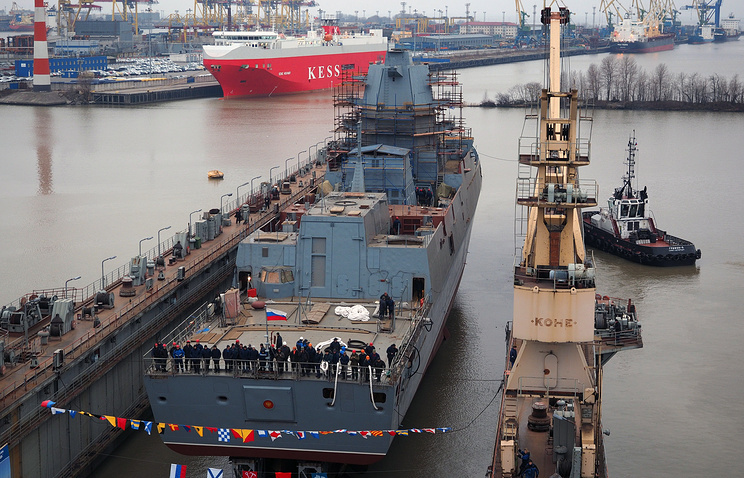 The lead warship of this series, the Admiral Gorshkov, was delivered to the Navy in the summer of 2018 and the construction of two more frigates (the Admiral Golovko and the Admiral Isakov) continues at the slipways of the Severnaya Verf Shipyard in St. Petersburg.